The ideal morning routine: Wake up, take a big morning stretch, walk out to find a barista making you an americano in your kitchen and a yoga teacher waiting in your living room to get you flowing. Oh dreams! More likely, you are running around with one shoe on wondering where you dropped your car keys the night before. Delicious aromatic coffee can help you feel like your wacky mornings are a little more relaxed. Coffee isn’t only a eye opener in the morning but research studies show it can boost your workouts, improve mental clarity, and sneak some antioxidants into our cute “Bloggers gonna blog” coffee mug. However, the way we go about brewing that coffee can make a huge difference in our morning jolt of java. 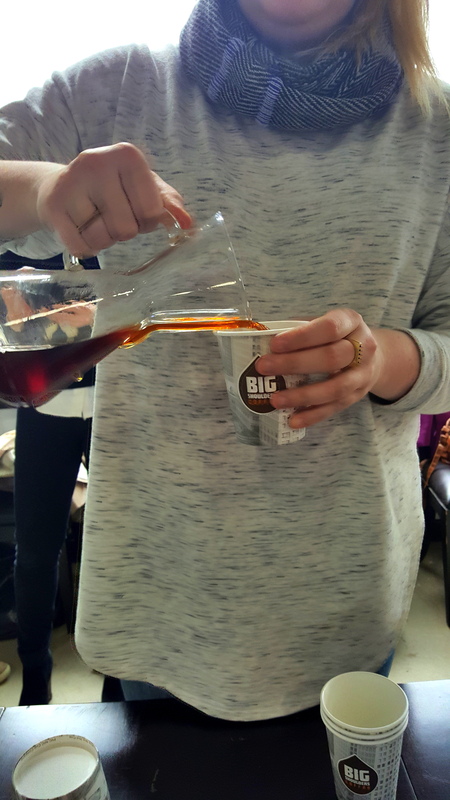 We studied the intricacies of brewing the perfect cup two weekends ago at the Windy City Blogger Collective private roasting session at Big Shoulders Coffee. 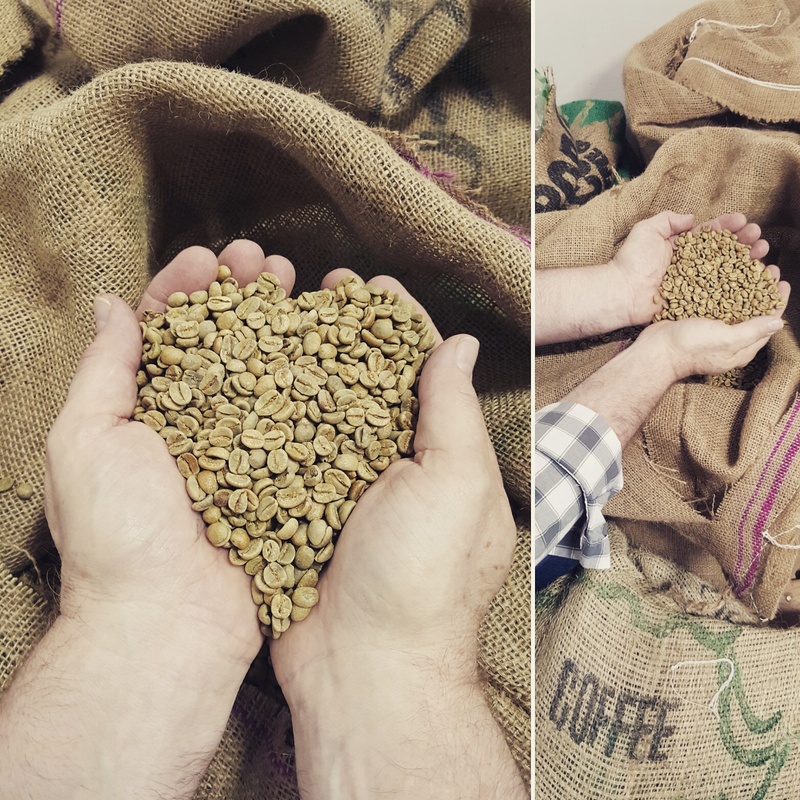 Founder, Tim Coonan, gave us an all bean access tour of The Roastery, where Big Shoulders coffee beans are delicately processed, like a green coffee caterpillar becoming an espresso butterfly. 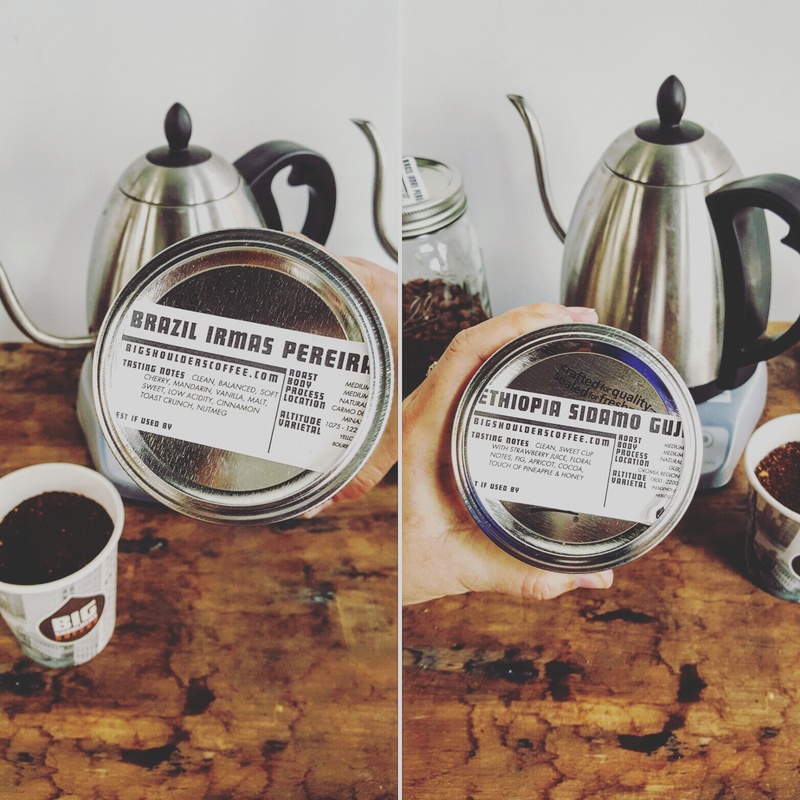 As an artisanal micro-roaster, the company builds fair trade relationships and creates unique crafted blends and single origin coffees with bold tastes (herbs, toffee, dark chocolate) . 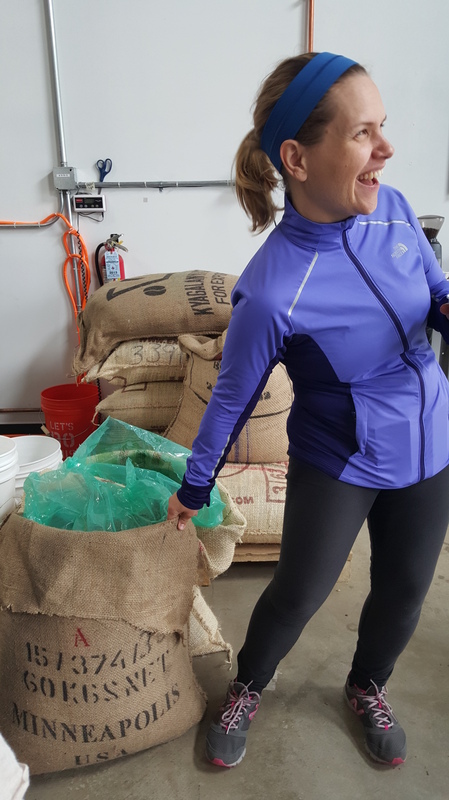 Along with watching the coffee roasting process, we asked pointed questions to get to the real issue that many coffee guzzlers want to know. How do we make the perfect cup of coffee? 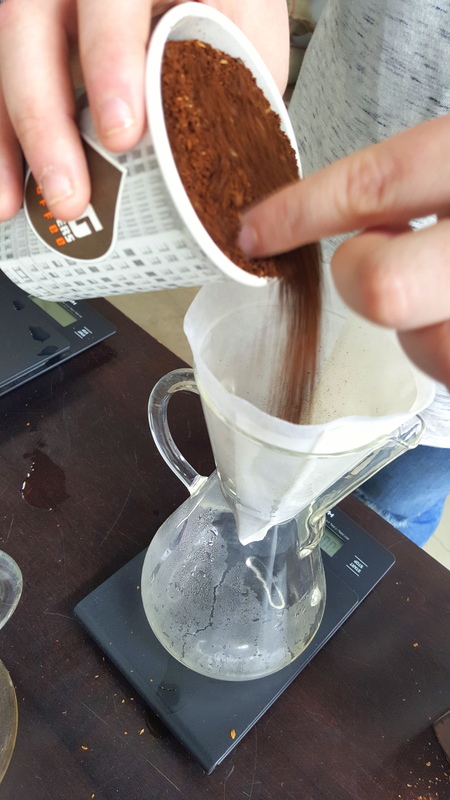 Founder, Tim Coonan, poured out tips to ensure that each coffee brew is the best for you. Keep your coffee pot clean!! Kate’s mom recommends 3 rinses with white vinegar to reduce mineral build up, followed by 2 rinses of water to get rid of the vinegar taste. Use fresh coffee. The recommendation was that a ground bag of beans should last a week. Get chugging coffee fans. Measure out 2 tablespoons of freshly ground Big Shoulders coffee per 6 ounces of water. Again, keep your brewing vessel clean. Choose fresh Big Shoulders coffee and use within a week. Stop grinding the life out of your coffee (aka don’t grind coffee too fine)! Match the grind to the brewing method. Tim recommends a burr grinder. Using a scale, focus on the ratio of 1 part coffee to 15 parts water. We hope you are good at math on this one. Note: phones have calculators so…no excuses. Heat filtered water to 204 degrees. Now it’s time to put on your hipster clothes and get down to the Pour Over method. Bloom the coffee by pouring in enough water to moisten coffee grounds but not to brew. After 1 minute of blooming, begin the brew the coffee by carefully pouring remaining water and controlling brewing time (3-4 minutes total) by slowing or stopping the pour as needed. Thank you Windy City Blogger Collective for the coffee connection and Tim Coonan for the tips and tour! 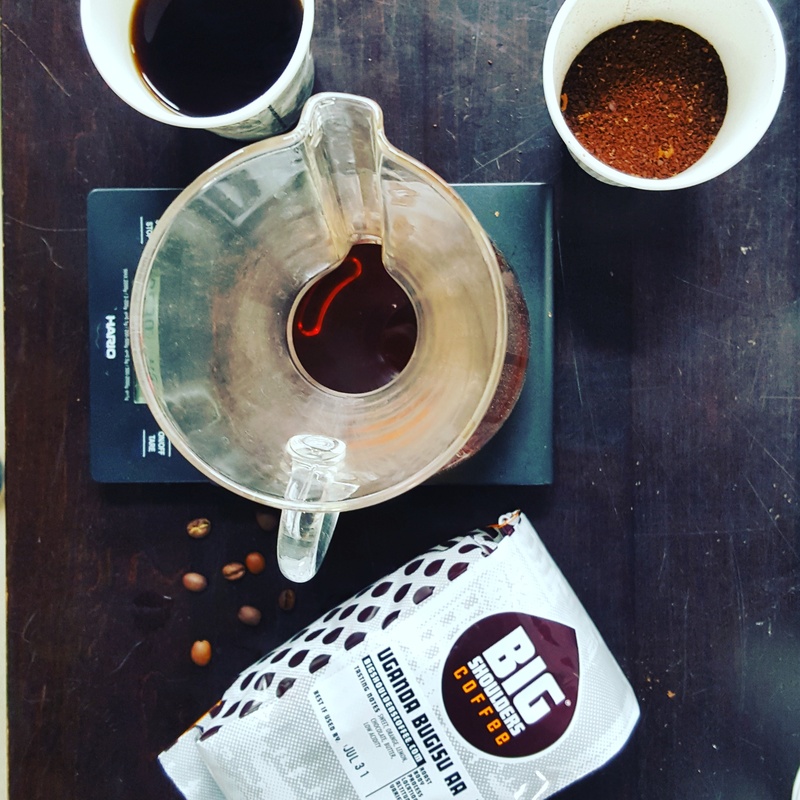 Big Shoulders, situated at 1105 West Chicago Ave, is sold at various Chicagoland locations, like Target and Whole Foods, or you can purchase coffee online. Now go find that other shoe and get to work, coffee cup in hand :).